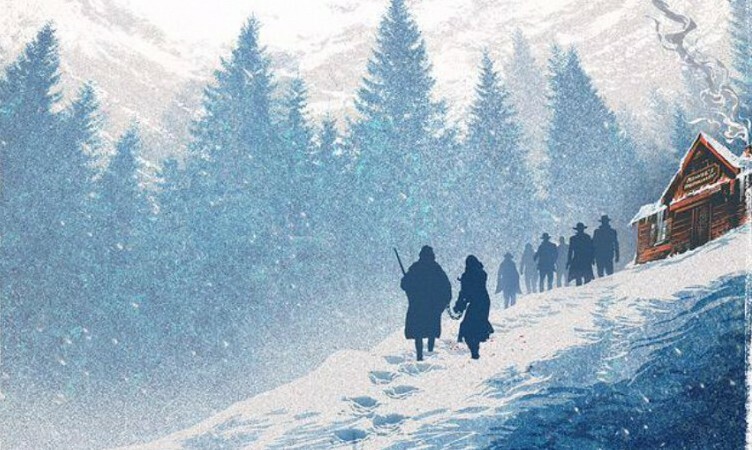 About a week ago Entertainment Weekly gave us our first character poster for Quentin Tarantino’s The Hateful Eight featuring Kurt Russell and Jennifer Jason Leigh (The Second Poster Below). Today we have the remaining six of Tarantino’s eight in the remaining six posters. I love that Michael Madsen’s nickname is “The Cow Puncher” even more than Tim Roth being “The Little Man.” I’m curious if he’s connected to B.J. Novack’s character, Smithson Utivich, also known as “The Little Man,” from Inglourious Basterds. Between this and The Force Awakens, December can’t get here fast enough. This entry was posted in Breaking News, Film and tagged Bruce Dern, Demian Bichir, Jennifer Jason Leigh, Kurt Russell, Michael Madsen, Quentin Tarantino, Samuel l Jackson, The Hateful Eight, Tim Roth, Walton Goggins. Bookmark the permalink.